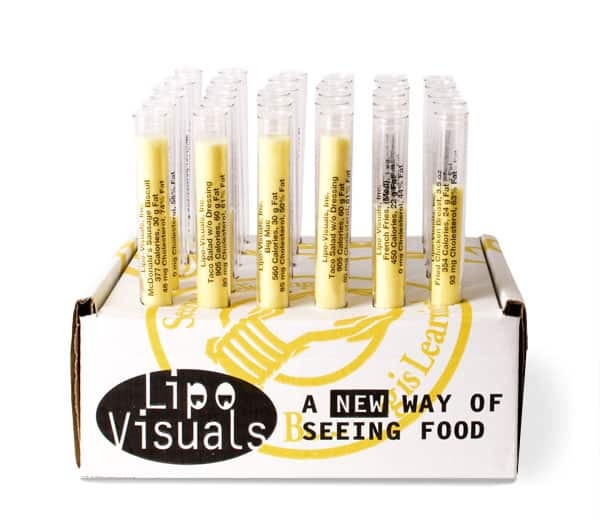 The Lipo-Visuals Deluxe teaching kit – 36 tubes is the most comprehensive set of fat tube foods on the market. This teaching kit allows for comparing the amount of fat in 36 of the most commonly eaten foods in the American diet. 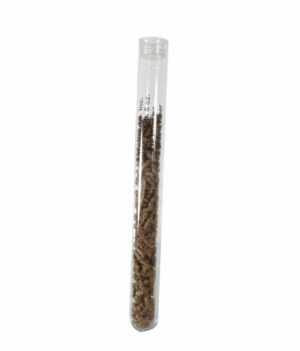 Each Deluxe Fat Tube Teaching Kit comes with an instructor’s guide/handout, and is packed in a sturdy corrugated cardboard box that converts into a test tube rack. Each food contains information for calories, fat grams, percent fat, and milligrams of cholesterol.